A city, reborn, finds a new appeal and cosmopolitan flair unrivaled in the region. 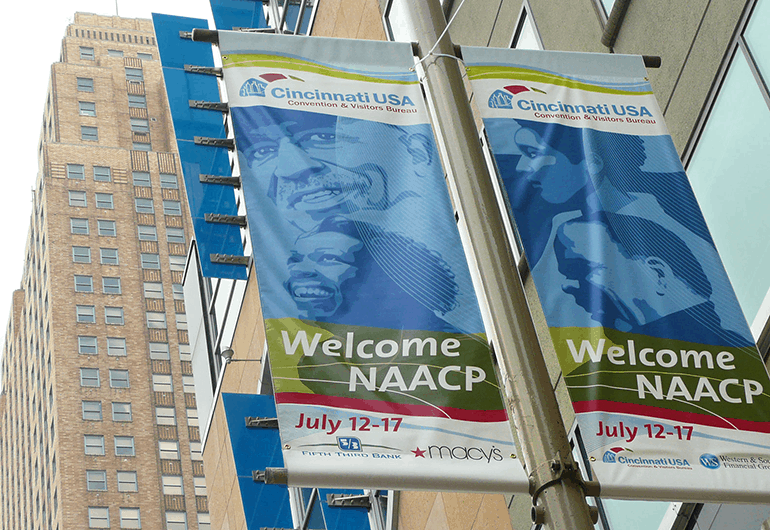 Selling the new energy and offerings of Cincinnati in a competitive convention environment. 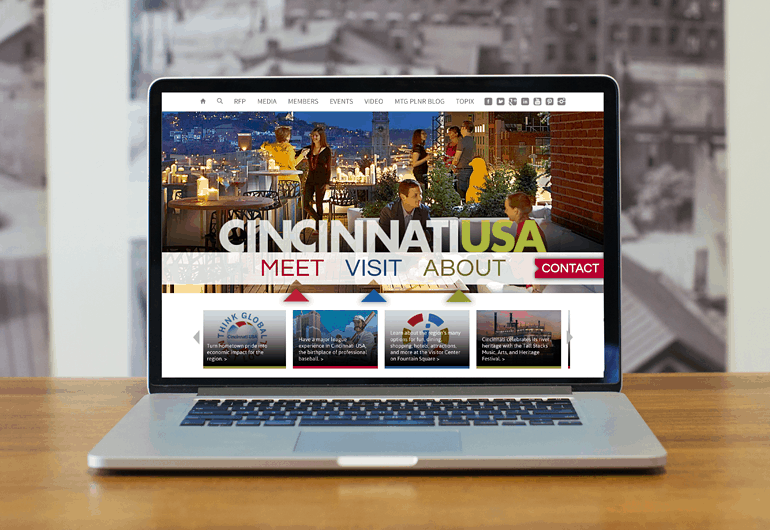 Vibrant photography accents a modern, clean web portal for the city. 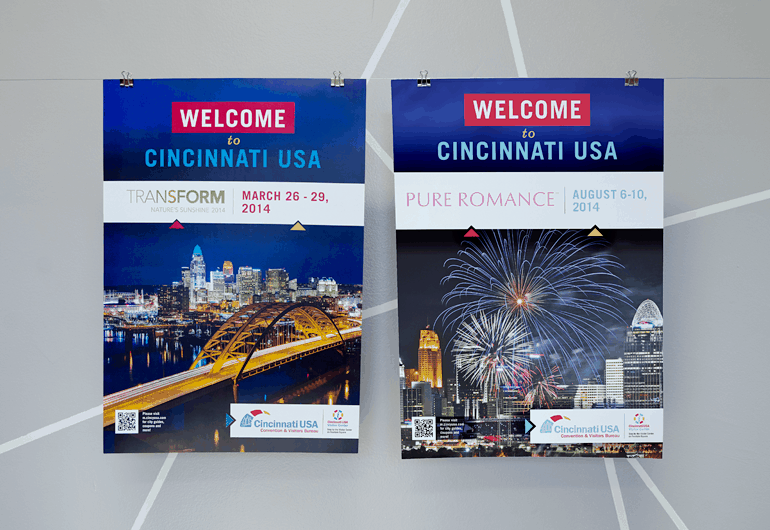 Welcome campaigns, customized for conventions, roll out the red carpet across a range of applications – street banners, table tents, sidewalk decals. 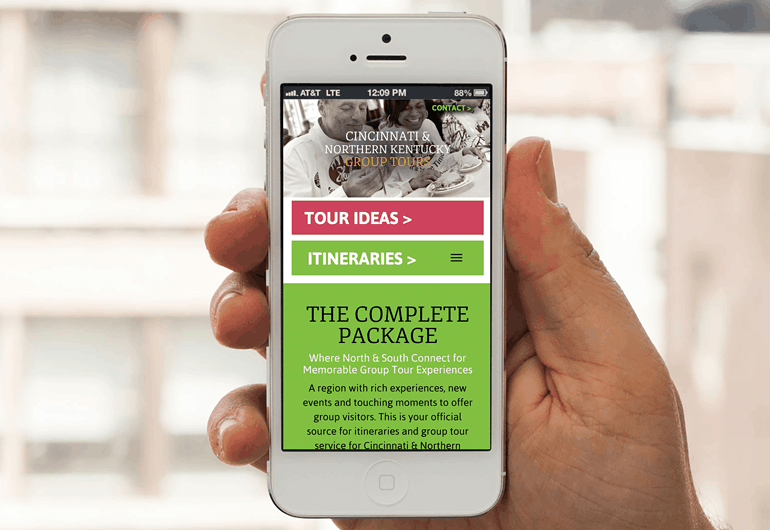 Responsive sub-sites for niche markets.